The board itself is fairly clean, with the majority of the components you see being used for Newisys' own remote management interface. 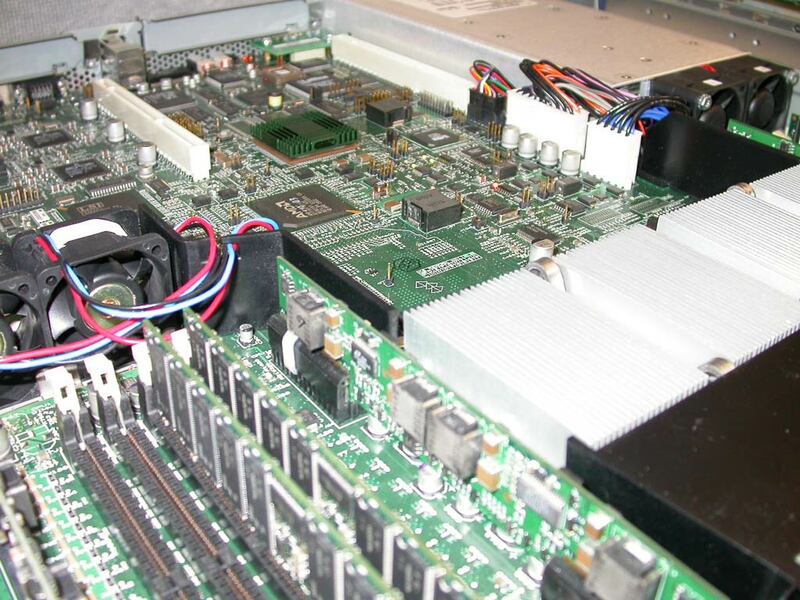 Everything past the edge of the power supply is all that is needed to support the CPUs; such a simplified design is made possible thanks to AMD's on-die memory controller with the Opteron CPU. 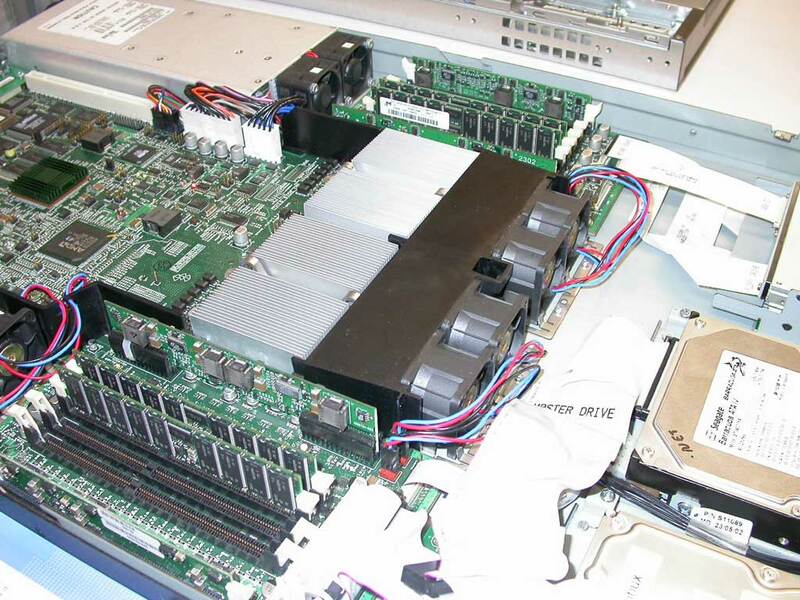 Since servers have no need for an AGP controller, the only other chip that's necessary is a South Bridge which you see directly behind the first Opteron processor. 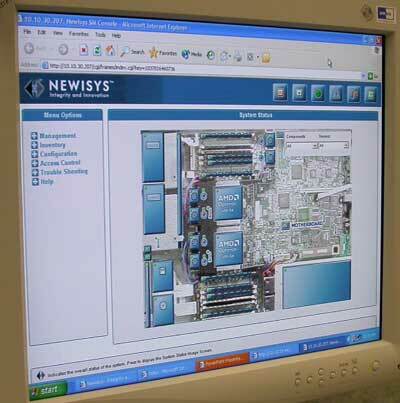 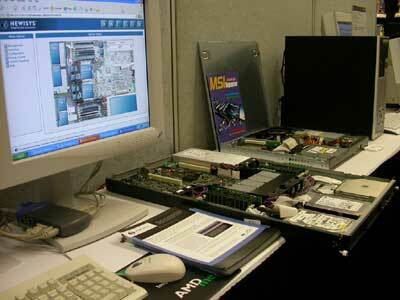 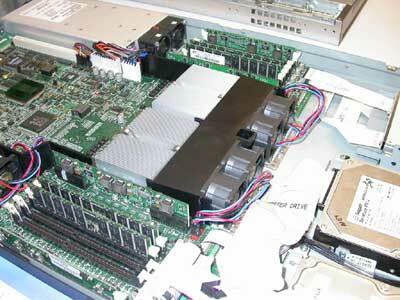 Newisys' management interface allows remote monitoring over LAN of the server's components. 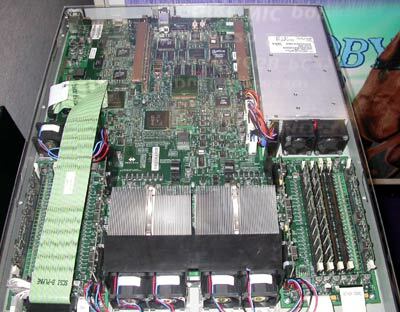 Above you can see the first CPU's set of memory slots; note that memory is installed in pairs because of the dual channel DDR memory controller that exists in the Opteron processor.